Can't we have a longer respite from the king of moral highground? 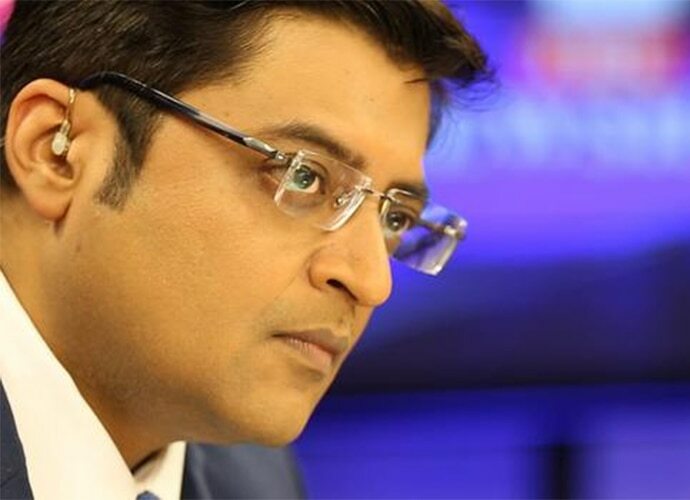 India's loudest and most-controversial journalist, Arnab Goswami, sent everyone into a frenzy after announcing his resignation from Times Now on November 1, 2016. While he was succeeded by NewsX's Rahul Shivshankar, “THE NATION WANTED TO KNOW” what the news anchor would do now. From speculations over Goswami starting a news channel with Rupert Murdoch to joining Fox, he had the rumour mills working furiously. On December 15, Goswami announced that his new venture would be called Republic. According to various reports, the channel will start airing before the Uttar Pradesh elections early next year and will be based out of Mumbai. Both these speculations make sense, considering Goswami’s contempt for Lutyen’s Delhi and the curious twists in UP politics. In a direct quote to The News Minute, Goswami said, “My venture is called ‘Republic’; I seek the support of the people of India”. If his show News Hour is anything to go by, the channel Republic is going to be unbearably loud, obnoxious and possibly will have the obvious right-lean that Goswami has displayed for some time now. While the king of loud, incoherent and often-cluttered television debates may pretend that he speaks nothing but the truth, Goswami’s utter contempt for a majority of the Indian media houses and anyone critical of the army, and just about anyone opposing his narrative (simply put, running a kangaroo court in the name of a debate) makes him not the best at what he claims to do. An excellent video on YouTube by Sid Sathyajit and Sumedh Natu explains why despite all antics and his flaws, Goswami manages to be the favourite of English news consumers. Goswami’s announcement of his new venture, of course, rekindled the name that had been missing from all discussions and debates in this last month (that was a rather crucial one, considering all that has happened–especially demonetisation). While some people chose to be happy about his return, as it would mean the return of the nationalist news narrative a lot of people loved, others weren’t all too thrilled with the inevitable increase in decibels. Arnab's new channel is called REPUBLIC, and not Republic. So from 'the Nation wants to know', the Arnab Goswami will roar 'the Republic wants to know'. Shouting republic of Arnab Goswami. Chalo, even if our media may not have independence, at least they have Republic. Whatever be the case, it is, at the end of the day, good entertainment. And given the crucial juncture our country is at right now—politically and economically—Goswami’s new venture will make things more interesting, if not better or worse.